Let me start this review with the single most important tidbit of information I can provide: Sushi Tsujita has the best sushi-meshi that I've had in Los Angeles. In my opinion, it is better than Mori's rice. There, I've said it. Delicious, classic, uncompromising akazu-flavored rice. Warm, sour, sweet, balanced. Nearly perfect. Some of the best shari I've had. Some background information: I recently travelled to Los Angeles for a long weekend during which I managed three sushi meals. 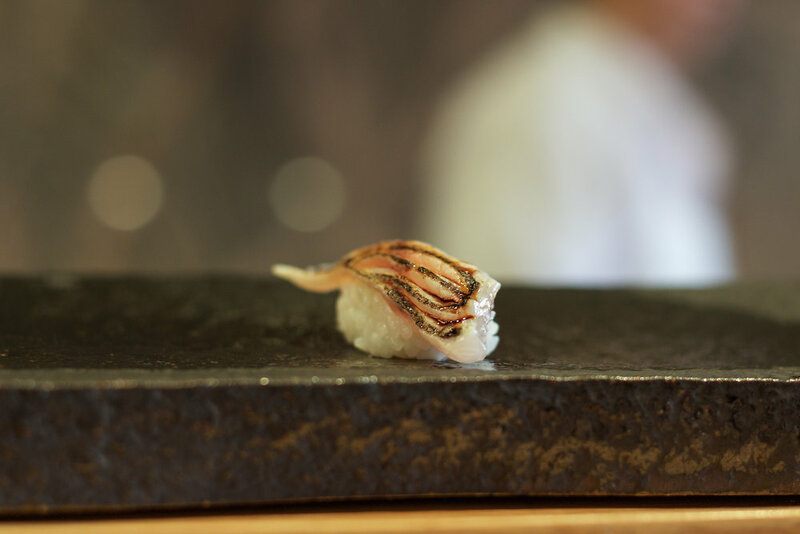 One meal was very good (at Shunji, review here), one meal was not so good and one meal was world-class. This one. I arrived at Tsujita on Saturday at 11:30 am and sat with chef Hide Takeda. 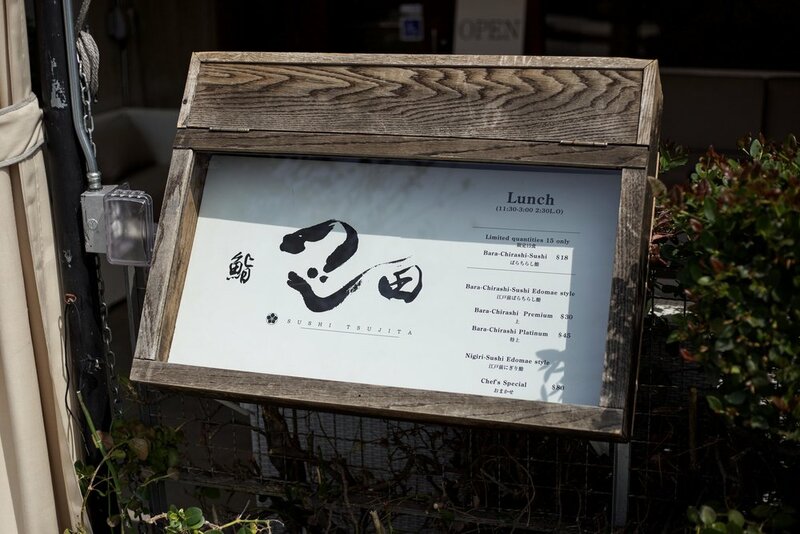 I ordered the $80 lunch omakase and a couple of Echigo beers. 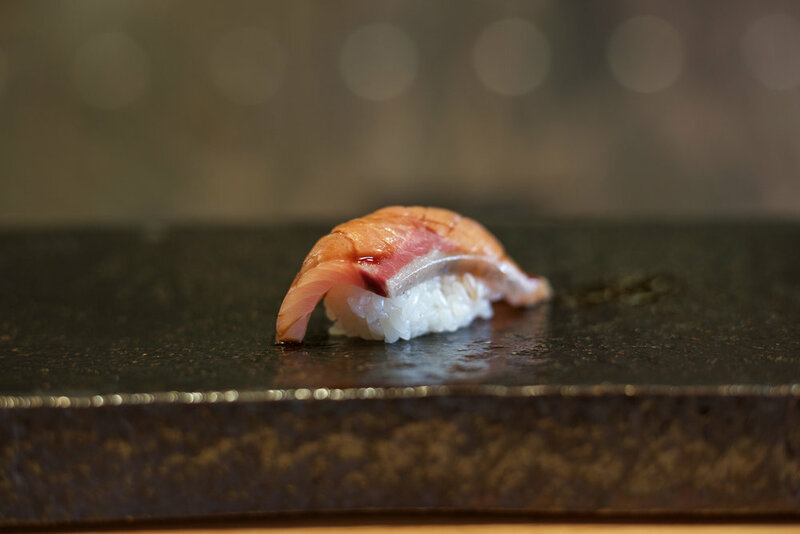 The omakase included 11 pieces of nigiri: isaki (chicken grunt), ishidai (stone snapper), kamasu (barracuda), akami (lean tuna), kinmedai (splendid alfonsino), buri (yellowtail), shiro ebi (baby white shrimp), smoked sawara (Spanish mackerel), chu-toro (medium fatty tuna), kohada (gizzard shad), and tamago (egg omelet). I was also served a delicious bowl with two types of uni (bafun from Hokkaido and murasaki from Santa Barbara) and ikura over rice as well as a very good clear broth soup. Takeda-san's pacing of the meal was pitch perfect, as were his knife skills. Preparation techniques for all items served were mostly classic Edomae style and wonderful in execution. The tane was of uniformly high quality. I typically like to highlight my favorite pieces when I write about a meal, but I really did enjoy every piece equally here. 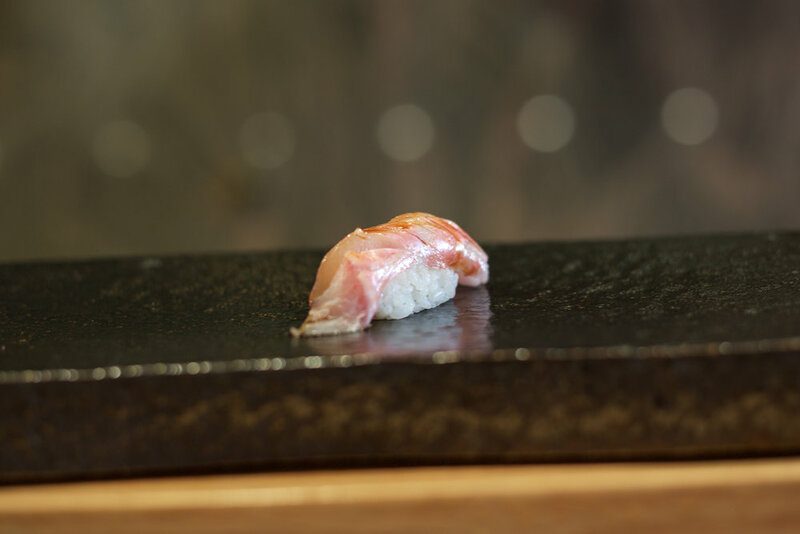 Of particular mention: the kohada - aged for four days, expertly salted and vinegared, and very very good. I enjoyed both the atmosphere (quiet and serene but not stuffy) and the service (attentive but not overbearing). I found myself quite full after the meal, but in a good way. I was truly satisfied. Previous to this lunch, I always named Mori Sushi as my favorite sushiya in LA. Tsujita has managed to take over the #1 spot thanks to this spectacular lunch experience. I look forward to returning soon for dinner. Below you will find photographs of each piece, in the order served. Two types of uni & ikura over rice.